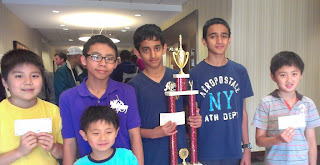 Windsor players did very well at the Cleveland Open. Jeffrey Zhu scored 4½/5 to take clear first in the 37-player U1500 section at the Cleveland Open. Jeffrey won $1,200 US, to go with the $1,000 he won in Chicago in July. Henry Zhang of Windsor tied for second, winning $433. Jeremy Mathews picked up $33 for his 4th place tie. In the junior u1200 section, Joshua Mathews (Jeremy's brother) tied for first with 4.5, winning $225. Max Zhu (Jeffrey's brother) scored 3/5. 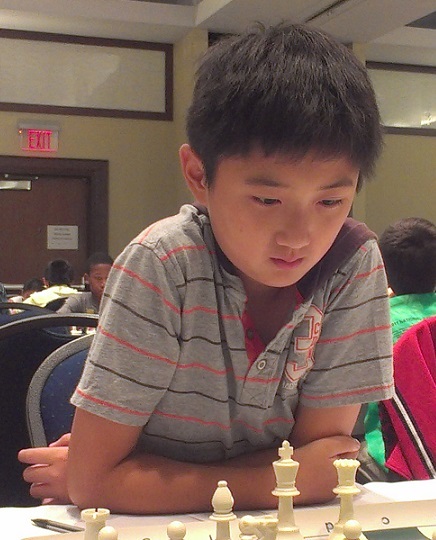 Other Windsor players included Lily Zhou scoring 2½/5 in the u1800 section, and Stefano Lee scoring 2½/5 in the junior u1200 section. Lily Zhou and Jeffrey Zhu came 2nd in mixed-double teams competition.